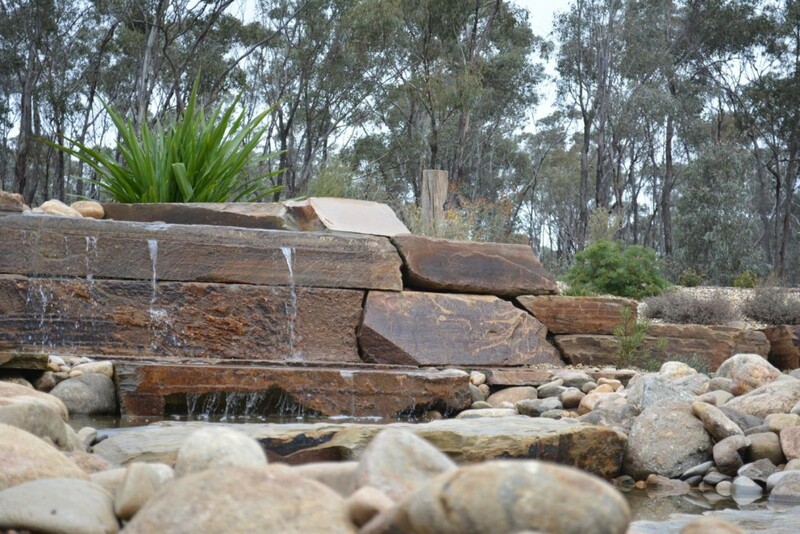 Located near Bendigo in Central Victoria, this gorgeous native garden highlights the effective use of reclaimed materials and efficient water retention. 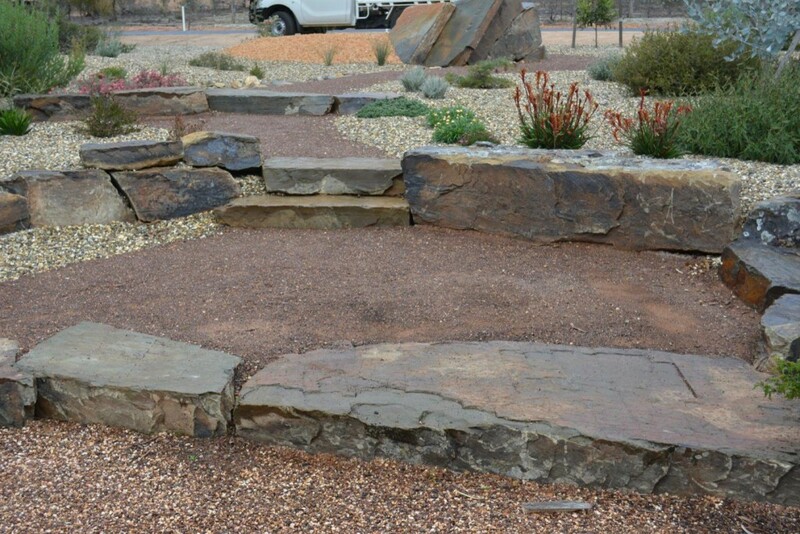 Materials were recycled from a variety of sources, such as rocks and stones from previous excavation projects and top soil from sub-division site cuts. 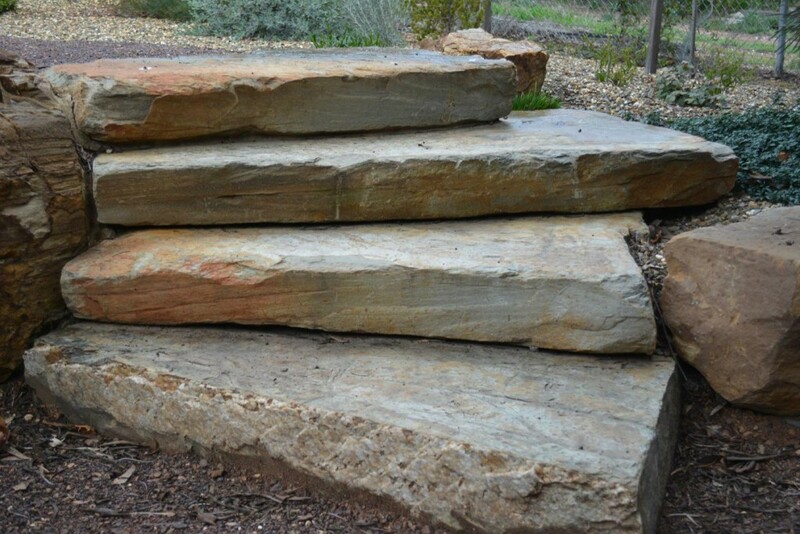 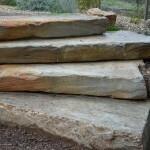 The pebble mulch and rocks used, along with the careful selection of suitable plants create a fire-wise garden where there is minimal combustible material. 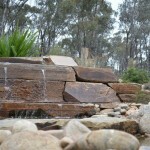 This creates a space that is both attractive and safe during the warmer months. 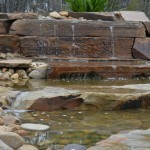 This garden is also special in that it uses several different water saving measures – perfect for low rainfall areas. 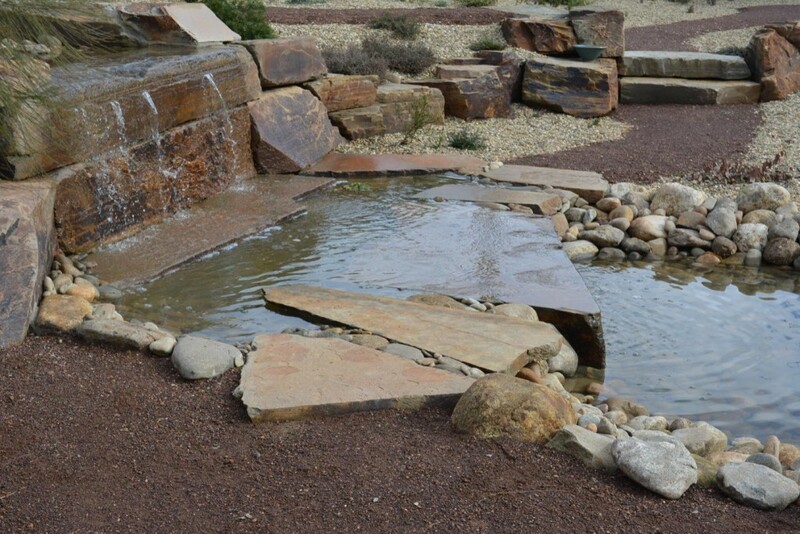 The incorporation of a 14mm pebble mulch to the garden beds and permeable gravel surfaces to the pathways ensures that all rain water is absorbed into the topsoil. 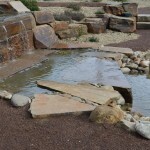 Rainwater is directed from the pathways and the roadway into the garden beds and excess water is then collected into a series of Agy-drains and along with water from the house roof is filtered through a “rain garden” to the lower pond. 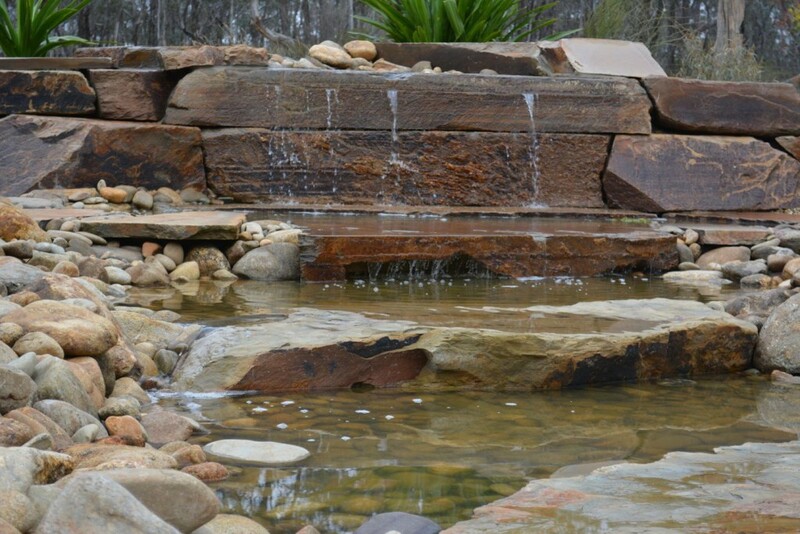 A pump system allows water to be pumped from the lower pond to either the garden beds via the dripper system or to the upper pond to cascade back through the series of ponds, ensuring that no water goes to waste. 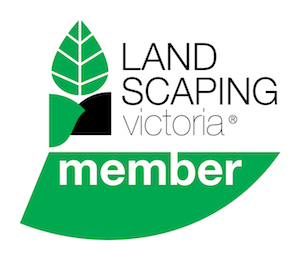 To maximise efficiency, a dripper system has been installed to irrigate the garden beds and minimize evaporation ensuring all plants receive water directly to their root system. 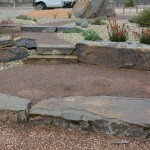 All of these features help to create an extremely drought tolerant garden that requires little to no supplementary watering.